Are you searching for your perfect Indianapolis, IN home to call your own? If you are a pet owner you need to also consider their needs with any pending home purchase. Ensuring whether local ordinances and your Indianapolis, IN neighborhood‘s environment will welcome pets will affect how your beloved furry friends acclimate to your new home. Here are some tips to help ensure your future home is pet-friendly. Check local requirements. Familiarize yourself with city and county ordinances that are in place for health and safety reasons – such as leash laws. Many Indianapolis communities are also striving to create and maintain pet-friendly parks. BringFido.com has a list of off leash dog parks in Indianapolis, IN. HOA rules. 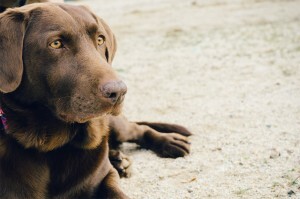 Be sure to check with any HOA or condo board rules and regulations for pets. Many allow pets but may have a weight limit so it’s best to check before you even view the Indianapolis, IN home in person. Home layout. Consider the layout of your potential home inside and out. Will your pet have enough yard or living space to live and play in without difficulty? Examine the outside of the home, if there is yard space is it enough for your pet, is it fenced in? If there isn’t a yard, are the parkways grass near your home so you have plenty of space for your animal to tend to his daily needs and exercise? If a pet is a central part of your life, you will find personal enjoyment in your future Indianapolis, IN home only if it accommodates the needs of your pet. When you are ready to buy a home in Indianapolis, IN look to experienced Indianapolis, IN real estate agents. We are committed to providing you with the highest quality buyer service. When making the type of investment that buying a home requires, you deserve to have all the latest market information and the very best advice, both of which we can provide you with. We hope to speak with you soon!